All hail the Airbnb of events! And the Candy Crush (sort of) of free booze! We're going out tonight, and we're not taking a chaperone. But we are taking our smartphone, cos that's what both of these things involve. So, we're out on the town in Funky Paddington, near T3's palatial London offices. A quick download of Drinki's iOS or Android appand we're away with a free cocktail or glass of Champagne from our choice. We can see from this interactive mapthat the most popular cocktail around here is a Rapaska, which is a mix of raspberry vodka and cider. Mmm. The app shows you "over 70" London bars where you can get a free drink in return for nothing more arduous than checking in on Facebook, and letting a barman touch your screen. Sounds like a deal to us. If you live outside of central London, fear not: you can still use FIXR to then organise the rest of the evening's entertainment. 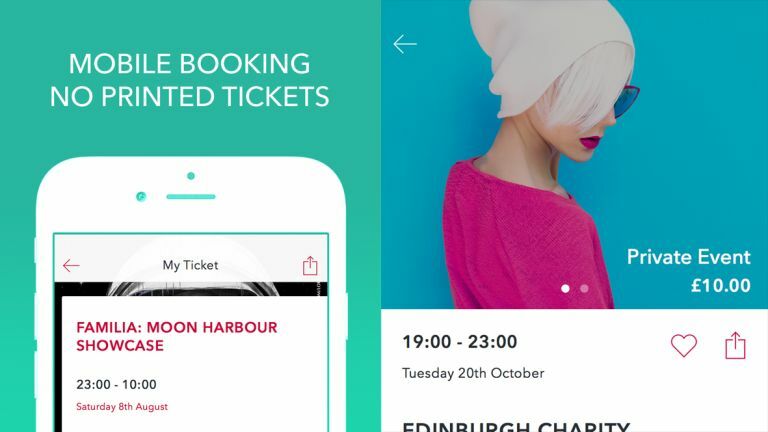 FIXR is, quite simply, the Airbnb of going out. It lets anyone sell tickets to any event, from the Ministry of Sound, to someone running a small gig in the back room of a pub, if people still do that, to you, at your house. Although if you're expecting people to pay to get in, you'd better provide a bit more than a six-pack of Fosters and Angry Birds on the telly. For clubbers this is a god-send because they can search for a night (by location, genre etc) on the spur of the moment, get tickets on their phone and rock up like they're Mariah Carey or something, flash the e-ticket on their phone and breeze in. For promoters it's a god-send because they can get more punters in, have a better idea of headcount and market direct to those who have visited the club. It's a win/win. Nick Stone, co-founder and CEO, says, "FIXR takes the organisation and booking of nightlife and events to the next level, giving everyone the power to run their own events, whether you're a student who wants to organise the football club end-of-term party, or a professional running a festival for 50,000 people. Like Drinki, FIXR is free to download on iOS and Android, as is the FIXR Entry Manager App for event organisers.